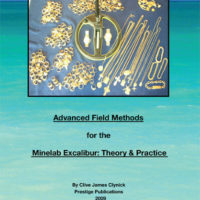 Clive James Clynick is the author of 16 previous detecting book titles and numerous articles. 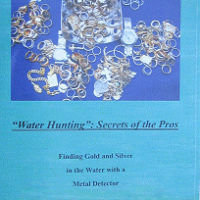 In this detailed and informative book he shares his 35–plus years of treasure hunting experience and outlines some proven methods for getting results with the Makro Racer Metal Detector. 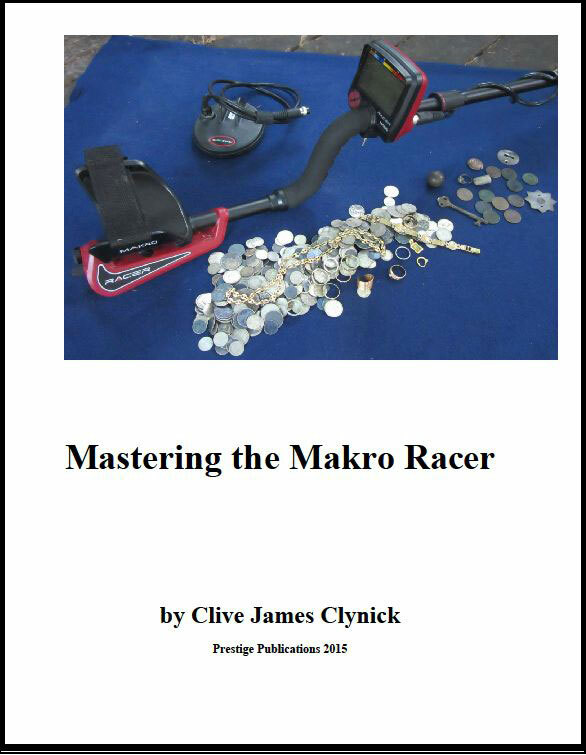 I just got my copy of Mastering the Makro Racer & I would definitely purchase it again. Great Informaton and insights into the workings & use of this machine! I find this book is well written and easy for all to understand. Thanks Clive for another great book. Great book! Written in layman’s terms and very informative! I got my book on Friday and been reading it a little at a time between my bar customers and find it is very good in my opinion. Clive has made this book easy to understand, at least for me and learning as I go. I used my Racer on and off this past summer and it is quite different than my Sovereigns I been running since 1996 and it is going to have a learning curve for sure as I am used to digging the odd signals and picking up some great finds, but the Racer from what I am seeing and understanding is a high gain detector so the gain from the factory is much higher than other detectors and have learned to turn it down instead of running it higher in my sites. 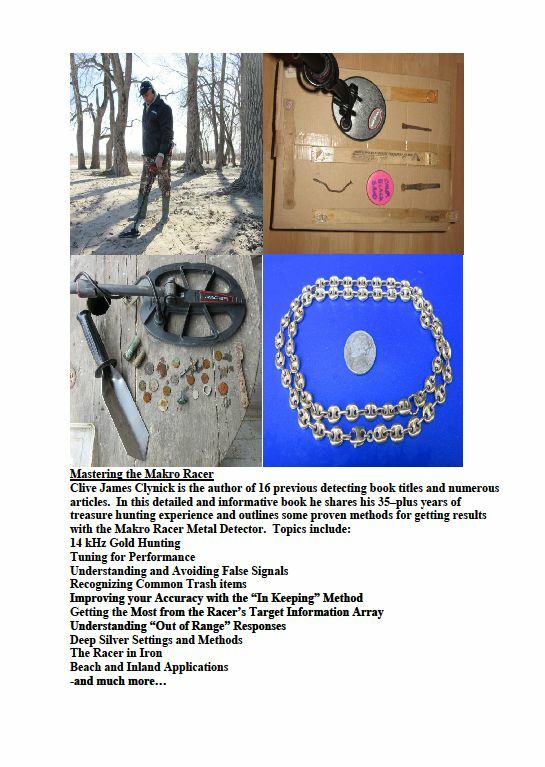 I see now why I am digging so much trash is the gain was too high to learn this detector, but after I learn more I will be able to turn it higher. I am digging too many iffy signals with the Racer and have to work more on listening to every signal closer and take my time before I dig. 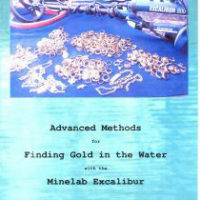 I find this book what I have read is well written and easy for all to understand.